Pakistan Ranger is the Paramilitary Force That protect our country’s Borders, Because Pakistan Paramilitary Ranger Force is the Main Responsible for the Protection of Pakistan Eastern Borders. Pakistan Rangers are under control of Ministry of the Interior of Pakistan Govt. In 1995 the Pakistan Rangers divided into two parts, one called Pakistan Rangers Punjab, with its headquarters in Lahore, and the other called Pakistan Rangers Sindh, with headquarters in Karachi. The two divisions have different uniforms and command. The Main Flag hosting and lowering takes place daily at Wagah and Ganda Singh Wala. If you want to join the Pakistan Paramilitary Ranger Force So you must be eligible and and you should be meet the Ranger Force eligibility criteria. 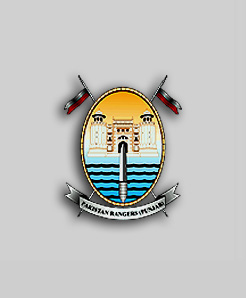 Here below we are providing you the Complete information regarding Ranger Force that how to join Paramilitary Ranger Force. Not less than 121 lbs. No over weight candidates will be enlisted. Note:- Director General Pakistan Rangers (Punjab) is empowered to condone physical standard in special cases i.e higher qualification / sportsman. Age Limits. Not less than 18 years and not more than 25 years. Director General Pakistan Rangers (Punjab) is competent to grant relaxation in upper age limit by two years i.e, upto 27 years. For the Further Details Regarding Join Pakistan Ranger Recruitment Jobs 2019 Online Test Forms and Eligibility Qualifications Requirements so you should Stay with us here on this page and get latest updates and Online test for the Preparations. Sir,Mari har lahaz say eligible hu pak ranger Kay liay lakin vacancy mil hi nahi rahi.kaya Mari help kar sktay ha???? ?sir maray father amry retired ha but lakin koi post par to hak ha na Mara sir. My name is Rehmat Nawaz Alam I want to join Punjab Ranger. collification is F.Sc so what can I do. Ap ki bohat karam navazish ho GI ji. Salam sir me shahaz ahmed from balochistan graduate and I apply in spoye rank . How I want get promotion in spoye plz sir inform about this? Asif javed Gujranwala panjb pakistan .